(Micro) Electro-mechnisms for robotics and extremely work spaces (enviroments). (Mikro) Elektro-Mechanizmy pre robotiku a extrémne pracovné prostredia. Annotation: The project elaborates methods and solves tools for design, modeling and simulation of (micro) electro-mechanical devices, mainly sensors of mechanical values and actuators for specific using in robotics and in extremely work spaces. The solution is composed from the mutual synergy of mechanical parts properties – deformation elements, electronics for signal processing and transmission, EMC and methods for data evaluation. The project theoretically and methodically elaborates following objectives:-	Analysis, modeling and simulation of compliant mechanical structures properties suitable for sensors and actuators solving.-	Optimal solving of mechanisms for multi-component force / torque sensor and for actuators (for instance as mechanical amplifier).-	Research of methods for signal transmission and processing, calibration for micro-robotic applications. Analysis of discrete event systens and synthesis of the knowledge-based control systems and intelligent control systems for them. Annotation: Discrete event systems (DES) are more and more extended – not only in production, transport, communication (including Internet), etc. – but also in socio-economic systems. To control DES behaviour being awaken to the aim, it is necessary to have at disposal their mathematical model as well as to analyse their properties. Classical methods are unsufficient. Consequently, it is necessary to find new control systems able to deal with DES dimensions and complexity as well as with problems concerning the effective operation of DES. Knowledge-based control systems (utilizing a knowledge base properly representing knowledge about environment in which the system operates and about conditions imposed on the system operation) and intelligent control systems created on the base of distributed artificial intelligence, e.g. emergent systems like fractal production systems, multiagent systems, etc. with elements of adaptivity, learning and selforganization) are such systems. The main aim of the project is to analyse DES from such a point of view (i.e. the kind of the system, area and way of of their application, expected effect, etc. ), to find suitable analytical models, suitable methods of knowledge representation, suitable menthods of applied artificial intelligence and to utilized them effectively in the process of the synthesis of the knowledge-based and intelligent control systems. Inseparable part of such an approach is also the verification of the models and proposed control algorithms in the proces of the computer simulation. Automatic assessment of acute stress from speech. Annotation: A person often intuitively identifies whether his/her partner in conversation is under stress, just from stress manifestations in the voice and speech. However, the group of acute stress manifestations and their measurable acoustic cues are not known well. There are no suitable speech databases available to study these manifestations. We will design an experimental scenario when the subject is stressed and is forced to communicate intensely via speech. During the experiment other modes, such as video, biosignals (pulse, skin conductivity, …), will be recorded in addition to speech. We will analyze the collected data and propose an annotation scheme to capture the occurrence of stress. We will investigate the effects of stress and their acoustic correlates and select a set of acoustic features and a suitable machine learning method for automatically identifying stress in speech. A system for stress detection from speech will be developed and its results will be compared to subjective expert judgment. Automatic meeting speech recognition with application to courtroom recordings transcription. Automatické rozpoznávanie reči pri komunikácii viacerých osôb s aplikáciou na prepis súdnych pojednávaní. Annotation: Communication in multi-party meetings is one the main driving forces of progress in the current modern globalized society of extremely specialized fields. Reliable automated transcription of such meetings offers great potential for subsequent multi-layered analysis and data mining, and provides thus a promising source of information and knowledge. The proposed project deals with the automatic recognition and transcription of speech during multi-party meetings in the Slovak language using progressive methods and parallel computing. The core area of the project is the automatic recognition of speech in court proceedings. Annotation: Motivation of this project comes out the research of new 2D materials such as metal sulfides and from the present state of development of e-beam lithography (EBL) as one of the alternative methods of 2D structures preparation in electronics. This project is focused on obtaining new scientific results in the patterning of nano-scale structures (10-100nm) in electron resists. Attention will be paid to the research of the influence of the electron lithography processes on the resulting nanometric patterns patterned in electron resits in term of resolution, dimensionsaccuracy and edge roughness of the structures in the resist. We will study the parameters influencing the profile of the nanometric patterns in polymeric resists. The simulations of lithographic parameters of electron resists onthin semiconductor layers, nitride membranes and layers with 2D materials, are an important part of this project. Based on the simulations of lithographic parameters, we will prepare nanometric structures on these materials. Annotation: At present the amount of information available in digital form is increasing steadily. However, increasing volumeresults in so-called information overload – i.e. much information is available which we are unable to sort, integrateor retrieve adequately. The largest group of digital data is that created by humans, such as text, documents,pictures, videos. The onset of web 2.0 applications and of electronization of banking or travel transactions resultsin generating huge amount of data. However, data generated in the above manner contain much information,primarily about links among real world and digital objects, but this valuable information is hard to find in the hugevolumes of available data. The project handles research and development of such methods which would makethis partially possible. Simultaneously, the project is aimed at analysis, creation and verification of suchinformation processing methods and algorithms which are able to process, manage, retrieve and accessinformation large scale. Annotation: An important aspect in building knowledge economy is an ability of organizations to assess their knowledge capital. Technologies and knowledge are becoming a key factor in productivity growth. This is the reason why companies support knowledge management projects in their organizations and strive to use their knowledge management to the largest possible extent. The objective of the project is to support companies heading towards the knowledge economy by extending existing and creating new models, algorithms, technologies and tools that can help organizations in their transition to a knowledge oriented corporation. Such transition should be preceded by an analysis and processing of information resources in organizations including documents, electronic communication and databases in an effect to manage and create availability and sharing of relevant information and knowledge. The project focuses in particular on the areas of knowledge modeling, service oriented architectures, distributed knowledge bases, semantic annotation, knowledge mining, case based reasoning and statistical methods. 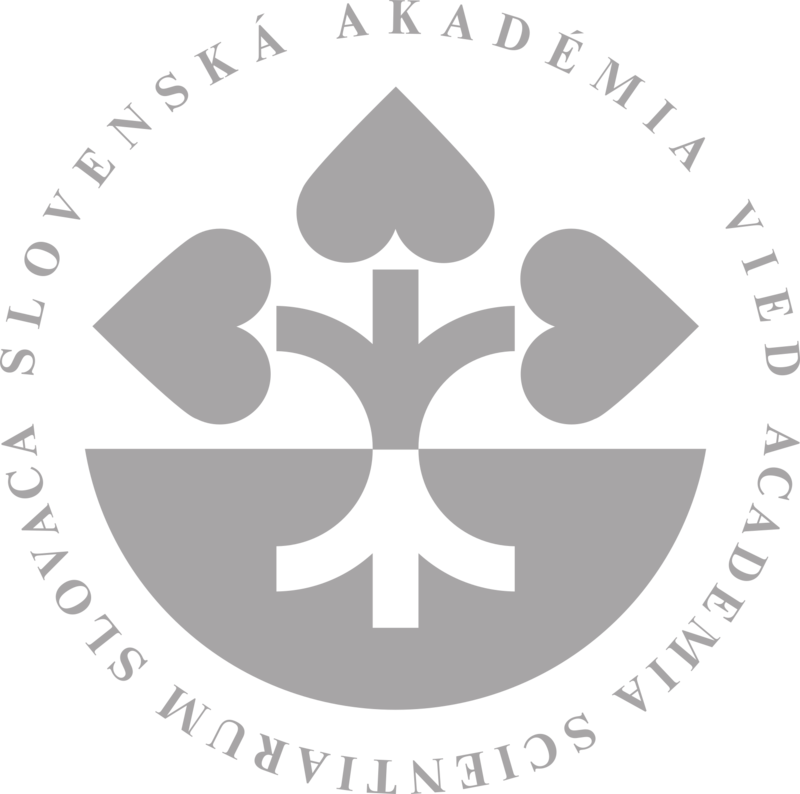 Special attention is devoted to processing of information resources in the Slovak language, where techniques based on neural networks and ontologies will be used. Annotation: Systems in practice (manufacturing, transport, communication, supplaying, etc.) have not only a complex structure but they also comprehend subsystems of different fundamentals:continuous, discrete-event and hybrid (different combinations of previous ones). Therefore, their control is complicated too. It is necessary to decentralize control by means of intelligent subsystems – agents. Cooperation of autonomous agents by a properly designed supervisor can ensure attainment of the global goal of the complex system. Petri nets (PN) of different kinds – place/transition PN (P/T PN), timed, hybrid – will be used to model DES and hybrid systems. P/T PN will be used also for the supervisor synthesis, namely at first their invariants (especially P-invariants), state vectors of places and transitions, possibly the Parikh\’s vector too, but also other parameters and properties. Constraints imposed on the supervisor synthesis will reflect the real goals to be achieved (often formulated only verbally) in analytical terms. Annotation: A mechatronic vision system for automatic perception and monitoring of static and moving objects is proposed. The system consists of several relatively independent subsystems cooperating in order to achieve the common goal to recognize the existence and the motion of a relatively small object from the background, to report it‘s position, velocity and acceleration, to predict the motion and to support tracking of the moving object. The combination of an automatic recognition subsystem with an automatic object motion prediction and camera orientation control facilitates the ability of the whole system to work autonomously in real time. The system will be designed in a modular way to enable simple adaptation to several static and mobile cameras mechanically oriented in space by the two degrees of freedom. The open architecture of the system allows group management integration, day and night image processing, and various geometric computation. Annotation: The project is focused on the research of decentralised control of systems by means of intelligent controlsubsystems and control agents. Because the behaviour of such subsystems depends on the occurrence ofdiscrete events, they will be modelled by methods used for discrete event systems (DES), epecially those basedon Petri nets. However, the modular approach will be used. It will be possible to join separate moduls into highercomplexes by means of arbitrary interconnections. Such a model of the control system will be able to expressexplicitly mutual interconnections among the moduls. This allows to examine the impact of the interconnectionson the effectiveness of the control of the controlled object. The design of suitable methods and algorithms of thepurposeful cooperative interaction among moduls is the main goal of the project. Proposed approaches will beprogrammed in the MATLAB environment. They will be verified by simulation in MATLAB at the control ofselected kinds of systems. Annotation: The project topics are techniques and algorithms for optimum design of (self-) testability structures built-in and implemented on chip. The project indirectly follows up the object of the previous VEGA project (2/2066/22) in which testability of data encryption algorithms implemented into digital circuits have been solved. The achieved results have shown existence of variety techniques and their hardware solutions, standards for (self-) testability, but they haven not always to be applied by optimum and effective way. The optimization of existing and new developed methods is based on the achieved knowledge and experiences and is solved with respect to important parameters: test time, power consumption, overheads and cost needed for (self-) testing and fault diagnosis. The research object is a digital system implemented into FPGA or ASIC that consists of different digital blocks – cores (pre-designed or glue logic). The testing standards: IEEE 1500 SECT (the standard for embedded cores), IEEE 1149.1 “Test Access Port and Boundary Architecture” (JTAG), existing self-test techniques based on linear feedback shift registers (LFSR), cellular automata and data compaction and compression techniques are initial methods of the project. The expected contribution is in new algorithms and techniques, their optimum hardware and software implementation with regards to mentioned parameters and a system of their automatic synthesis to VHDL digital circuits and systems models. Annotation: The research proposed in this project follows up on the successes achived in 7th FP projects in which most of the research team has participated: ADMIRE: Advanced Data Mining and Integration Research for Europe (2008-2011), Commius : Community-based Interoperability Utility for SMEs (2008-2011), VENIS: Virtual Enterprises by Networked Interoperability Services (2011-2015) and EGI-InSPIRE: Integrated Sustainable Pan-European Infrastructure for Researchers in Europe (2010-2014). Several case studies from these projects have created the motivation for research in the area of semantic processing of Big Data in a virtual computational environment. A big challenge in the proposed project will be to study new methods, approaches and algorithms. The proposal also builds on two previous VEGA projects: Selected methods, approaches and tools for distributed computing (2012-2015) and New methods and approaches on information processing and knowledge bases (2013-2015). Annotation: Fires belong to emergent events which cause large material damages, damage of environment and often cause destruction or threat of important parts of infrastructure, buildings and their facilities, and threat of human lives anf health. Therefore, research in the field of fire prevention and safety, which leads to the development of information technologies and systems capable to predict the course of fire in different environments and conditions and model their consequences, belongs to acute and important research problems of all-society significance. Basic research in the suggested project is oriented on formulation of new scientific knowledge in the field of computer simulation of forest fire spread and spread of automobile fires and fires in selected types of structures and modelling their consequences. Advanced methods and methodologies for integrated intelligent control systems. Moderné metódy a techniky pre integrované inteligentné riadenie výrobných systémov. Annotation: The project objective is research on new progressive methods for integrated intelligent control, knowledge support and interoperability in production enterprises. Recently the research is focussed on reconfigurable supervisory control systems development and control of networked enterprises. The basic assumption for implementation of sophisticated control methods, remote control and embedded intelligence support is highly developed information and communication technology. Collaboration support systems and knowledge management systems came to be matter of course. Intelligent control of networked enterprises have to consider either conventional or very new problems, such as complexity, variability, environmental changes, etc. The research of new advanced methods will focus on reconfigurability and adaptation in dynamically changing environment on the all levels of control. Moderné technológie spracovania reči v slovenčine využívajúce rečové databázy II. Annotation: The submitted project proposal is focused to the Preparation of the monograph prelimininary entitled: “Modified discrete cosine and sine transforms (MDCT and MDST): General properties, Fast algorithms and Applications”. The monograph will be devoted to the theory of MDCT and MDST transforms, fast algorithms for their efficient computation, methods to their integer approximation for lossless audio coding, and using MDCT and MDST transforms in practical applications for compression and decompression of digital audio signals in the MPEG audio coding standards as well as commercial audio codingsystems. Annotation: Continuously increasing costs of mineral resources and the requirement for our products to be competitive make us using our material resources more efficiently. Numerical calculations on a mesoscale level, where a material is idealised as a continuum, play an important role in optimization of various constructions and technological processes. The finite element method (FEM) is the most widespread from among the aforementioned calculation methods which uses a material tension diagram as one of its entries. The accuracy of these calculations is essentially affected with the accumulated plastic strain versus true stress relationship determination of the material coming from a tensile test. This material characteristics can be considered accurate as far as the stress state during the test remains uniaxial, that is no necking occurs. The aim of this project is to supplement the tension test with sufficient mathematical tool to determine the accumulated plastic strain versus true stress curve during necking and to get a better outlook on the stress distribution in the material. This improvement in the aforementioned material characteristics determination will increase in general the calculation accuracy as well as improve the numerical response prediction mainly in large strain / large deflection area with considerable plastic deformations, which eventually decreases the cost of experimental tests and increases the work efficiency. Annotation: Complex systems integrated on a chip are becoming ubiquitous in many applications; so their operation must be reliable and resistant to failure, even though the nanotechnologies enhance their failure rate as a result of newfault mechanisms. Reliability of systems-on-chip (SoCs) is becoming a critical parameter and often could be achieved only at the expense of other parameters quality, such as consumption and chip area. The project aims to research on new architectures with built-in self-repair suited to different types of digital IP cores embedded inSoCs. In addition to standard cores such as processors, controllers, and other combinational cores, the project focuses on the so-called specialized cores, for which there are currently no methods to increase their reliability.The proposed architecture will be verified by simulation through the available software tools and experimentally using programmable devices. The results of the project will contribute to increasing reliability and life-cycle of SoCs. Annotation: The knowledge bases research was represented in the past decade by semantic Web and knowledgemanagement. New opportunities to tackle this challenge came with new Internet technologies and services, such as social networks, Wikipedia and vast amount of structured data (LinkedData, government data, community data) in the form of lightweight semantic networks. New methods for information and knowledge processing, integration, inference, search and visualization can be designed and tested using such networks. Lightweight semantic networks and graphs are not represented by strict semantic model, but they evolve based on new data, resources integration, systems and user interaction and they can be used for new types of knowledge bases. The research challenges of unstructured data (web, text and documents) processing still remain. We will research and develop methods for the creation and use of knowledge bases built from structured and unstructured data. Annotation: The aim of the project is to propose and create the effective tools for the computer synthesis of the real-time mechatronic control systems. Realization of the programming kit for the static and mobile mechanisms enables to model the objects of control, to simulate control algorithms and, moreover, the kit will offer the platform for the development of the true control system for the real objects. The goal of the project is to work out the proposition methodology of the new mechatronic control systems, to offer an effective tool for modeling of the static and the mobile objects of control and to create an environment for the control algorithms simulation with the aim of its step by step verification. The kit should provide the new control systems development and realization with the true objects of control as well as with the simulated ones for training or educational purposes. The step by step implementation of the new control systems will be possible simply by replacing the simulated objects by the real ones. Pokročilé mikro/nano technologické procesy s využitím elektrónovej litografie. Annotation: This projekt je directed to obtain new knowledge and its exploitation in the research and development in the field of new micro- and nanotechnological processes and techniques by using electron-beam lithography (EBL) as wellas direct beam EBL (EBDW- Electron Beam Direct Write), which are the key technology in the fabrication of micro- and nanoelectronic devices and systems and will play a crucial role in the producton of nanometer-scale devices in nanophotonics, nanomagnetic devices, molecular nanotechnology, including NEMS and NEOMSsystems as well. The preparation of nanometer scale structures on non-standard substrates by e-beam direct-write lithography with a maximal alignment precision represent the main area of the proposed project. To achieve this it is necessary to optimize the expositions of suitable masking materials (resists), the data preparation by using new algorithms and by optimization of novel technological processes of structures’fabrication. Tools for design and simulation of (Micro) Electro-Mechanical Systems (MEMS). Prostriedky pre návrh a modelovanie (mikro) elektro-mechanických systémov (MEMS). Annotation: The project will elaborate methods and tools for solving, simulation and design of (Micro) Electro-Mechanical systems (MEMS). Study and present state of the subject is based on knowledge about design and control of robotic mechanisms, sensors, signal processing as well as application of (micro) technologies for their fabrication. The project will theoretically and methodically elaborate the following problems:-	simulation and optimal design of mechanisms and mechanical structures with flexural/elastic elements-	development of MEMS technologies-	signal processing and control methods. Annotation: The project will elaborate methods and tools for analysis, simulation, modeling and design of (micro) electromechanical structures and systems (MEMS). The study and elaboration of subjects is based on knowledge about design and control of robotic devices, sensors, signal processing, as well as application of MEMS systems. The project theoretically and methodically elaborates following subjects: -Analysis, modeling and simulation of MEMS characteristics especially based on compact elastic mechanical structures and mechanisms with integrated electronics. -Methods and tools for optimal design and solving MEMS with respect to applications. Annotation: The main goal of the project is in major and measurable improvement of reliability and robustness of automatic speech processing systems in Slovak, and in improved communication naturalness of language interface in Slovak. In research of Slovak phonetics and phonology from the viewpoint of automatic processing, primarily defining of SAMPA, a more general phonetic alphabet (suitable for various application types) will be concerned. Within automatic speech recognition, the project aims at achieving higher reliability of speech recognizers for information systems in Slovak, and at development of diagnostic procedures to reveal speech recognizers drawbacks. Within speech synthesis, the goal of the project is in the development of models of individual speech prosody components in Slovak, in improved naturalness of synthetic speech, as well as in better intelligibility of synthetic speech even in environments with noise, and in the development of diagnostic procedures to reveal speech synthesizers drawbacks. Annotation: Service-oriented architectures and software services as their basic building blocks are currently one of the most prominent research paradigms of distributed information systems. There is a need for novel approaches which are able to deal with and utilize the knowledge which will be available in the pervasive world of future service-oriented environment. In this environment the convergence between existing grid technologies, web services, semantic technologies and emerging service oriented architectures will enable enhanced provision of computing, data, information and knowledge capabilities. The project aims at surveying the following selected topics: exploitation of semantics in service oriented environment, use of services in Grid, use of services in data management and visualization of service oriented scientific computation in Grid. The project also aims at verifying the researched approaches on selected applications such as utilization of the service oriented Grid systems in image processing. Networked control of heterogenous multi-agent systems. Sieťové riadenie heterogénnych multi-agentových systémov. Annotation: The project addresses interoperability within heterogeneous multi-agent systems that provide appropriate tools for modeling and simulation of complex distributed systems such as logistics systems, multi-robot systems, etc. The project aims to develop principles of control and design of unconventional and functional mechanisms for implementation of the tasks with regard to the specific capabilities of individual agents. In accordance with current demands on the quality of life and public safety, the project is focused on exploration of terrains and areas after accidents or natural disasters. The project is focused on systems composed of intelligent agents, whose context can be detected by sensory systems. Physical Internet and Internet of Things are also subjects of research in the frame of the project. Annotation: The aim of the project is design and implementation of new reliably solved architectures for digital systems fault diagnosis and fault self-repairing. Testing of complex digital systems on chip requires more and more hardware blocks, such as self-test generators, compression and decompression units, signature analysers, standard interfaces for embedded core inputs and outputs accessibility, and different types of control units. Increasing test hardware overhead, a new problem arises, namely its reliability. Project results will help to improve the quality of testability, reliability and operating life of digital systems by introducing new strategies and procedures, which will connect methods of concurrent and off-line diagnostics in systems, as well as in blocks determined for those systems testing. Proposed new methods will be verified by their applications to real digital systems using the FPGA technology. The selection will be targeted at systems for data encryption algorithms, image and audio processing. Processing of sensor data via Artificial Intelligence methods. Annotation: The project will propose new methods and algorithms for processing of multi-sensor data for tasks of object diagnostics, areas of interest evaluation, secure communication and simplification of the new intelligent models creation. The research will focus on advanced methods of artificial intelligence with emphasis on deep learning. Artificial Intelligence algorithms show significantly better results than traditional methods, and an example of this is the tremendous progress of refining semantic image segmentation through deep learning over the last five years. Modern, low-cost, miniature electro-mechanical structures allow simple integration and group deployment of multiple sensors, resulting in the production of a huge amount of multi-sensor data that can not be manually processed. The project output will include new models of accurate semantic image segmentation, precision object modeling, multiple sensor collaboration models, and secure data transfer, especially for the Internet of Things and Industry 4.0. Construction and control of micro-electro-mechanical elements and devices. Stavba a riadenie mikro-elektro-mechanických prvkov a zariadení. Annotation: The project elaborates methods and solves tools for design, modeling and simulation of micro-electromechanical structures and systems (MEMS). The study and elaboration of subjects go out from mechatronics approach and it is based on knowledge of design and control of robotic devices, sensors, signal processing as well as MEMS technology. The project theoretically and methodically elaborates following objectives:- Analysis, modeling and simulation of MEMS characteristics based on compact compliant mechanical structures with integrated electronics.- Methods and tools for optimal solution and design of MEMS with respect to application.- Information-control systems with MEMS. Methods of signal processing(sensors),communications and control (micro-robotics elements and devices).- Technological aspects in solving MEMS structures. Annotation: The project is aimed at checking up the possibility of using the speaker verification (SV) as an add-on safety element in the ATM security. The objective of the project is to study the properties of this communication and to verify whether it would be possible to use the speaker verification system to verify the identity of the speakers and to unavil a potential entry by an intruder in this communication. In this project we want to focus on the initial assessment of the involvement of the speaker verification technology in the ATM security system. The SV and its resistance to fraud attacks will be performed in the Slovak languge too. A set of speech recording samples of 500 speakers will be prepared a unique set of 500 corresponding synthesizers with wide range of settings will be created, which together with the existing synthesizers will be used to prepare data for imitated attacks. The complex calculations related to training and evaluation will be realized on the computer cluster of the II SAS. Annotation: Maintaining the reliability of the digital system during its lifetime becomes the most important challenge for the current semiconductor industry. It is required to design highly reliable systems even if the system components reliability shows the decreasing tendency due to new fault mechanisms in the modern nanotechnologies. Reliability of complex systems integrated on a single chip is not possible without the implementation of self-repair capability. Application of such architectures is well known for memory circuits and other regular structures. The goal of the proposed project is the development of new methods for designing built-in self-repair architectures for circuits with irregular structures (combinational and sequential logic circuits). The developed methods will be evaluated on selected types of logic cores by simulation using available software tools and programmable circuits. The results of the proposed project contribute to the reliability increase of the systems-on-chip. Selected methods, approaches and tools for distributed computing. Vybrané metody, prístupy a nástroje pre distribuované spracovanie informácií. Annotation: Distributed processing of information currently represents an important research area in the European Research Area, which is a part of the European research programs. The proposed project focuses on original solutions in 4 research objectives.1. Research in methods, approaches and algorithms for distributed information and data mining in multidimensional data.2. Innovative architectures and approaches for coordinated information gathering from heterogeneous sources and management of distributed resources using agents.3. New methods and techniques for management of distributed data and metadata in state-of-the-art service-oriented environments.4. Research on parallel and distributed computing, with emphasis on porting applications to the Cloud environment, as well as solving interoperability between different Clouds. Annotation: The subject of the solving of the proposed project belongs to the area of development of new nanolithographical technologies and techniques which are a key technology in the fabrication of nanoelectronic circuits and nanosystems. New and progressive solutions in the nanotechnology development will play a crucial role in the production of circuits with element dimensions smaller than 50 nm, in nanophotonics, nanomagnetic devices, molecular nanotechnology, NEMS (nano-electro-mechanical systems) technologies and the like. Preparation of nanometrical structures on non-standard substrates by direct lithography with maximal alignment precision as well as membrane-masks preparation for ion-beam lithography are main area of the proposed project. To achieve this one needs to optimize expositions of suitable masking materials (resists), preparation of the data by using new algorithms and optimization of new technological processes of the structures preparation. Annotation: This project is devoted to advanced patterning processes that can extend capabilities of the technology into the deep nanoscale regime. New approaches to resist design, exposure strategies, development techniques, and correlation with subsequent dry etching are investigated. To achieve this will require thorough, systematic understanding of the limiting factors involved in both the electron-resist interaction, in the polymer dissolution (development), the corresponding intricate interplay of the numerous process control parameters including the accelerating voltage, exposure dose, and development conditions, as well as interaction with subsequent techniques (dry etching, lift-off).